Today I wanted to share a fun card I made using lots of distress oxide inks! I ordered the May My Monthly Hero kit a month ago and finally played with it. 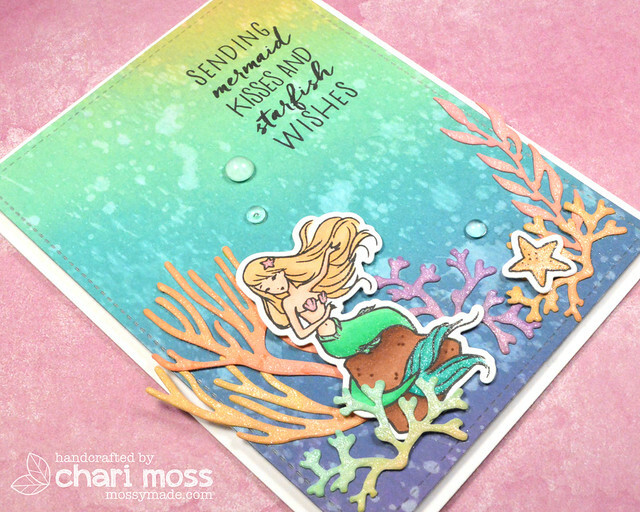 I had so much fun creating the background and coloring the seaweed and coral with distress oxide inks. I used fossilized amber, cracked pistachio, broken china, faded jeans and wilted violet for the background. I blended with foam blending tools on distress watercolor cardstock then splattered with water droplets to create the water marked background. I stamped the sentiment with Versafine ink once the background was completely dry. 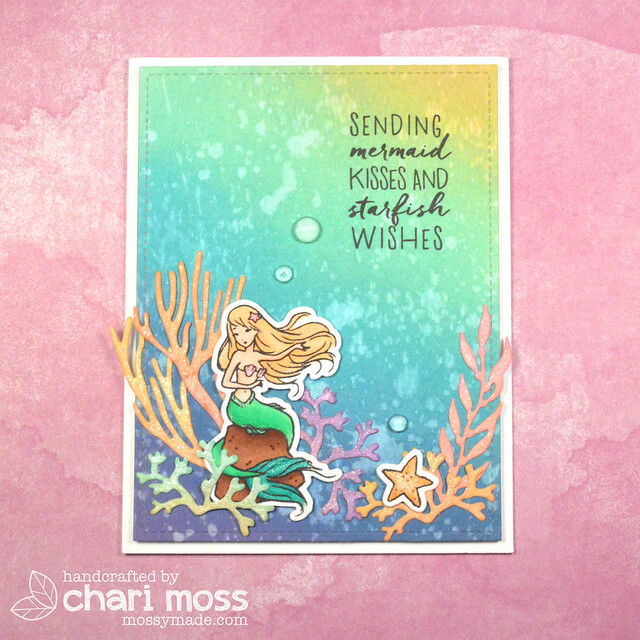 The coral is die cut from watercolor cardstock and I blended each piece with a couple different colors then I added a layer of clear overlay spectrum noir over the ink. I colored the images with copic markers and used the matching dies to cut them. The final touch is some Pretty Pink Posh clear droplets which make the perfect bubbles for my little scene.